Happy Friday, friends! It’s been a long week around here, but Chris is finally finished with his ICU rotation, and we have six weeks until he is finished with intern year! It’s crazy to think we are leaving in less than two months! My phone broke last Tuesday night, and I couldn’t get a new one until this Wednesday. (Of course it happened the night before I found out my MRI results, so I couldn’t tell anyone, but that’s a story for another day). It was so strange to be without a phone for a week, but I ended up enjoying it in some ways (I might have to write a post about that). Even so, I love my new phone, and I’m glad to be able to talk to people (and check social media) again. We got our photos back from Lex Nelson Photography, and we love them! They are so fun and a great way to remember our time in Chicago. I will do a full post about them next week, but I thought I would share one of my favorites today. One of the best parts of Christopher’s new rotation is he doesn’t have to wake up in the middle of the night to go to work. It’s amazing to have a normal sleep schedule (and weekends!) for the next two weeks. We found a place to live in Texas! It’s not a super ideal situation because we can’t move in until late July and will have to stay with family for our first month home, but it’s in a great walkable area. I can’t wait to explore our new home. Since Chris has the next two weekends off, I am hoping we can do a day trip to Holland, Michigan for their Tulip Time festival. The tulips should be in full bloom next week, so I’m keeping my fingers crossed the weather (and my health) cooperates! Let’s address the elephant in the room, shall we? I got my MRI results last week. They’re not great. Chris has been encouraging me to write a blog post about it, but I am holding off until my follow up appointment next Thursday. Waiting for the appointment has been super hard because everything is basically on hold until we can make a decision. Thank you so much for all of your sweet messages and prayers. I appreciate it more than I could ever express. My April 2016 PopSugar box was delivered later than usual this month, but it came at a time when I needed a treat. I thought this month was a great combination of useful and fun items. I love when PopSugar sends all-natural products, and this night balm looks great. I am picky about smells, and I thought the smell was nice and not too strong. Also, the packaging was really nice. I had already received a copy of Cravings from Blogging for Books, but I am not complaining about getting another one because I think it would make a great gift. My full review of Cravings is here, but I will say if you haven’t picked up a copy yet, do it! I know some people hate getting lotion in subscription boxes, but I don’t mind as long as it’s interesting. I thought this lotion smelled great, and I loved the packaging. Also, the package comes with a tool to get as much lotion out of the package as possible, which I thought was a great addition. I love the fun lemon pattern on this tea towel! I haven’t used it yet, but apparently, it absorbs like a paper towel and is designed to get better with every use. I love that it’s super soft. This was the only item in the box I didn’t love, but I didn’t mind getting it because I think it would work as a nice add-on to a housewarming gift. I’ve mentioned before that I give Chris all of my PopSugar food items, so that he can also get a treat, but we might have to share these. These beans are all-natural and look super good! I don’t usually mention much about the special extras in PopSugar boxes, but I thought this one was perfect as it came in time for Mother’s Day. The cheapest bouquets for my area are $48, so with a $20, I could get one for $28. Not a bad deal! 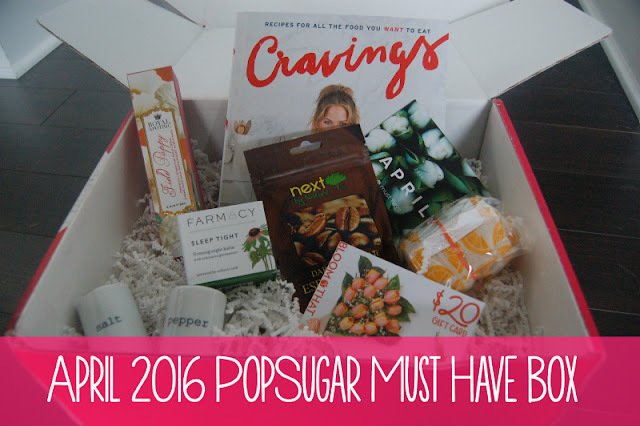 What do you think of the April PopSugar Box? What's your favorite item? Ever since we got a wok, Chris and I have been experimenting with various stir fry sauces and combinations. 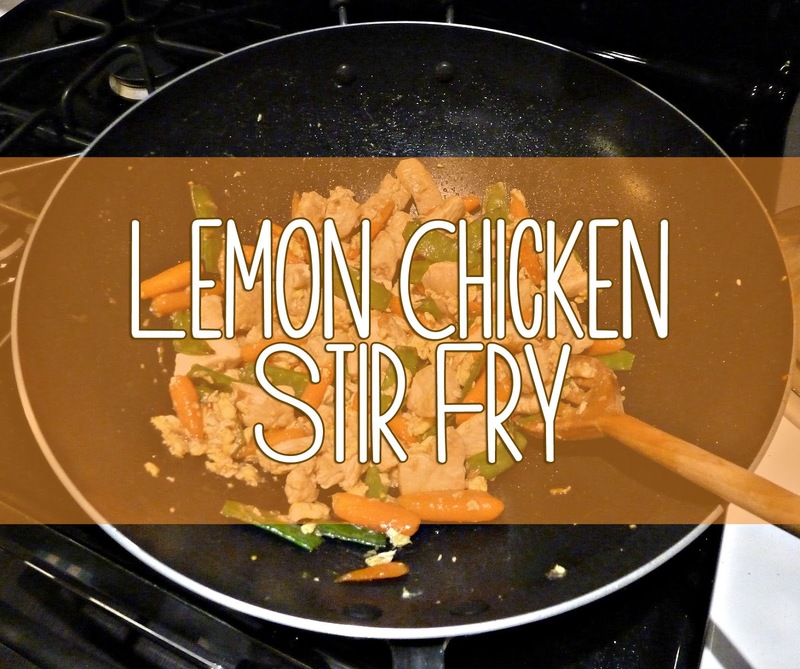 The lemon stir fry sauce we made has been my favorite, and I could seriously eat it every day. I’ve been eager to share it, so I hope y’all like it as much as we do. Mix all of the ingredients together in a small mixing bowl. Then, pour the sauce in a mason jar. It will be enough for five to six meals. You can keep it in the fridge for up to two weeks. 3. Heat the wok over high heat. Once it’s hot, add the oil. 5. Once the chicken is done, remove it from the pan, but leave the oil/juices in the wok. 6. Cook the carrots until nearly tender (should take about three minutes), then reduce the heat to medium and mix in the minced garlic and sliced peas. 7. 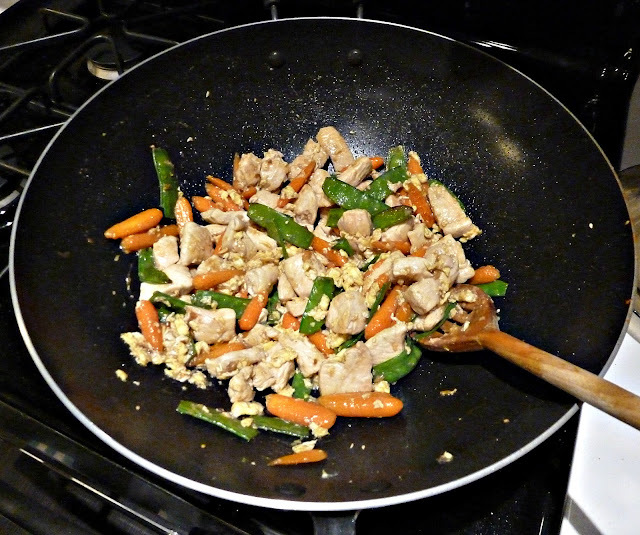 Once the veggies are done, push them to the edge of the wok and toss the eggs into the center and scramble. 9. Pour two tablespoons of the sauce over the entire wok. Mix all the ingredients. 10. Serve immediately. It also tastes great with rice or noodles. What's your favorite kind of stir fry? 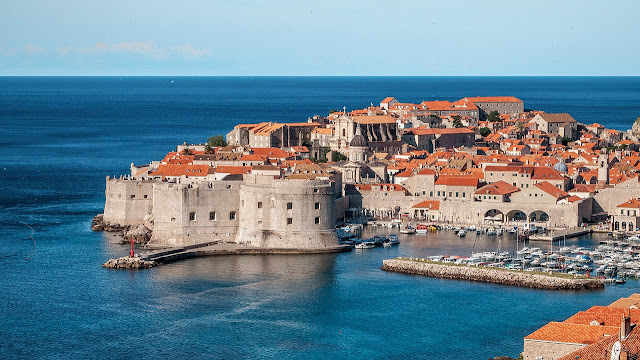 I’m a sucker for pretty rooftops and views of the sea, so I know I would love Dubrovnik. I’ve also really wanted to see the Plitvice Lakes National Park, so a trip to Croatia in general sounds amazing. We had planned on going to Santorini last time we were in Europe, but there were crazy riots in Greece, so we decided to do two weeks in Italy instead (no complaints there!). 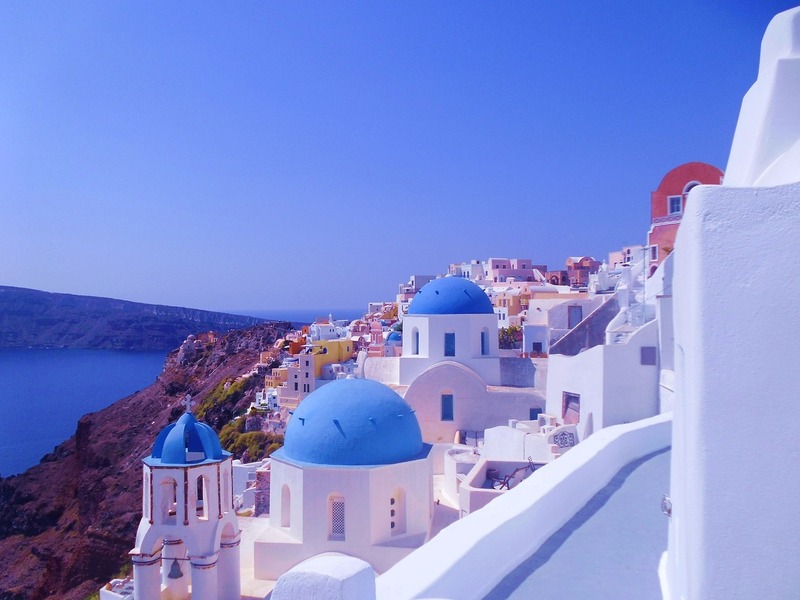 It’s still my dream to get to Santorini though and see one of those famous Santorini sunsets. 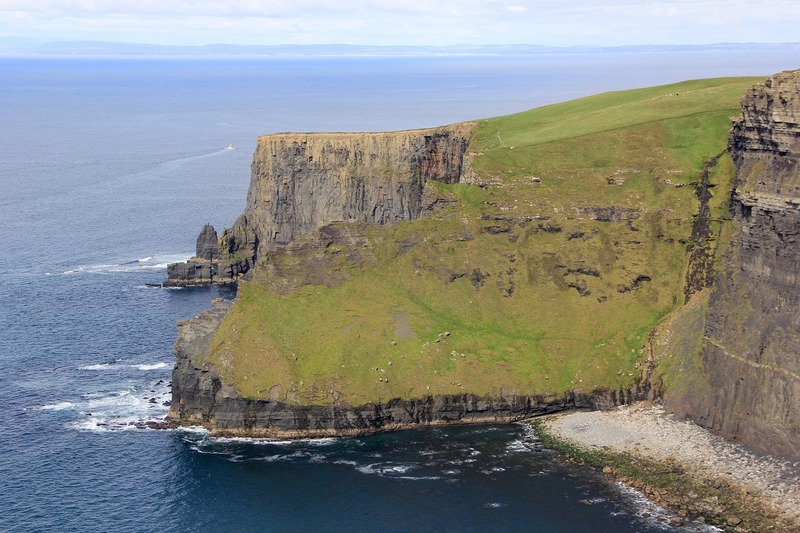 I really want to see most of Ireland, but the Cliffs of Moher are at the very top of the list. It looks like such a gorgeous place. 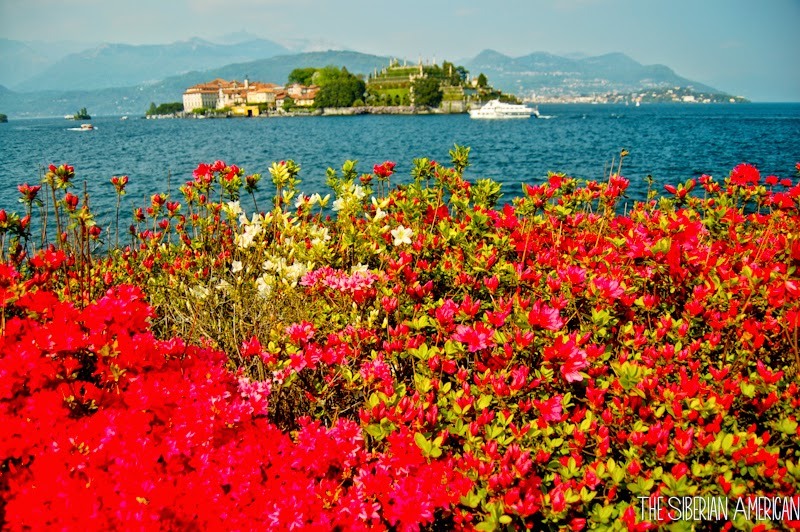 One of the first things you will learn about me when you visit me blog is I absolutely love being on or around water. Lake Bled in Slovenia looks enchanting, and I love the mountains almost as much as I love water, so it looks like the perfect place to relax. 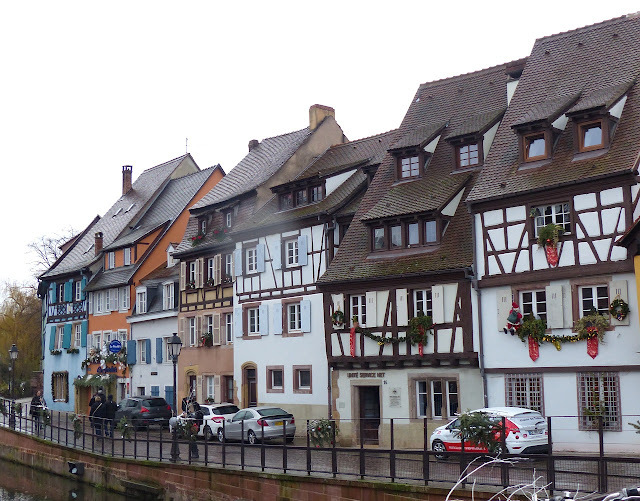 After visiting Strasbourg, I really want to see more of the Alsace region of France. Colmar looks like such a cute town! What’s one place you want to visit in Europe? 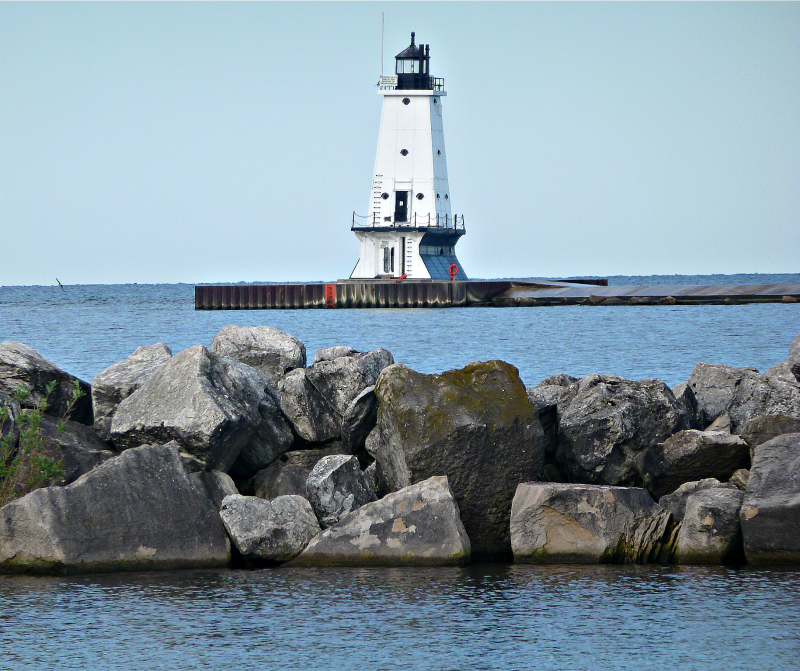 Before heading to Ludington State Park, we stopped to see Ludington’s North Breakwater Light. Apparently, it’s considered to be one of the most popular lighthouses in West Michigan, though it’s not technically a lighthouse (there is no house attached to it). Honestly, I liked some of the other lighthouses we saw in West Michigan better (like the Holland Harbor Lighthouse and the Grand Haven Lighthouse), but it was still neat to see. The Big Sable Point Lighthouse is located in Ludington State Park. As we were paying to get in, the park ranger told us the Ludington Beach House had recently gone through a several million-dollar renovation. The minute I heard it had gorgeous views of Lake Michigan, I was in. The weather was absolutely perfect, so Chris and I spent a few minutes relaxing in the beach house before our hike. The hike itself was easy. It was about two miles each way, but the trail was mostly a paved road covered with sand. It wasn’t a super interesting hike, but we brought Skyler with us, and she made it fun. 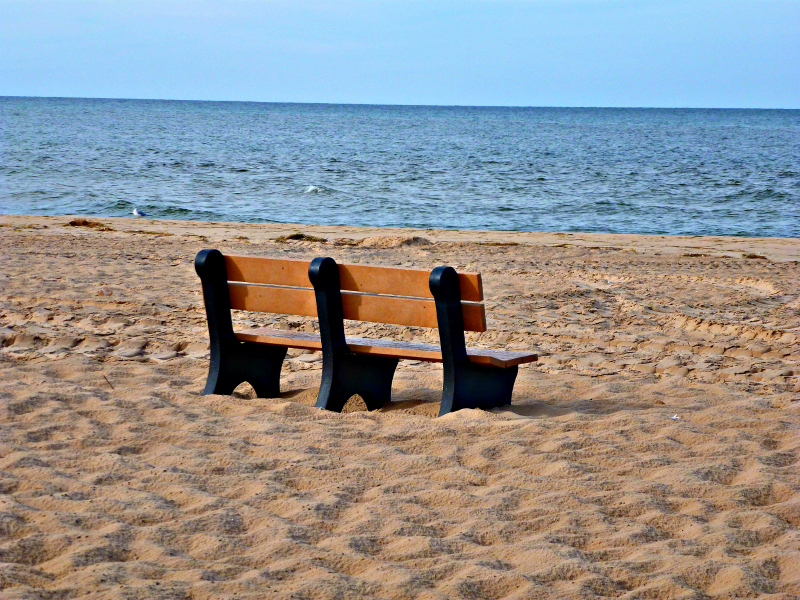 The best part was when we finally saw the lighthouse in the distance. 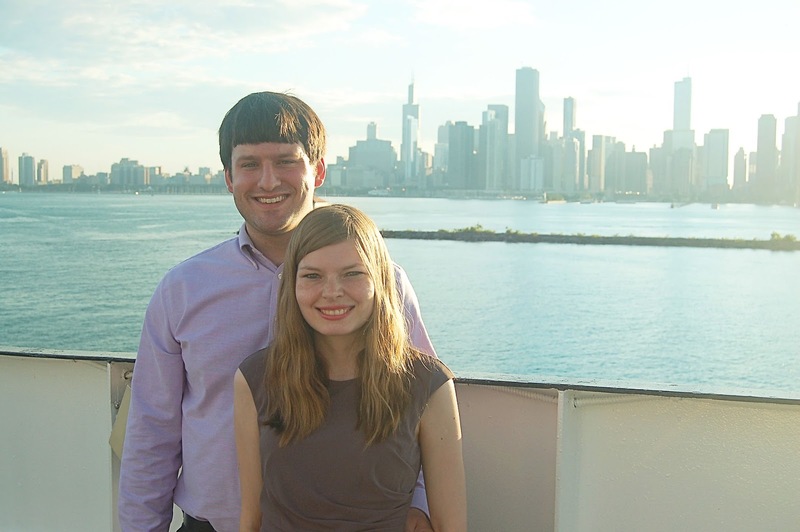 Set against the backdrop of Lake Michigan, it was stunning to see. 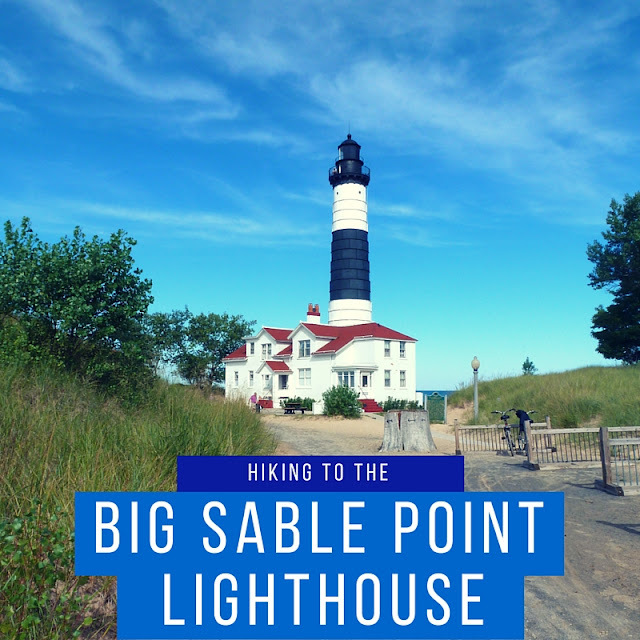 Stay tuned for a post all about our time exploring Big Sable Point Lighthouse. Happy Friday, friends! 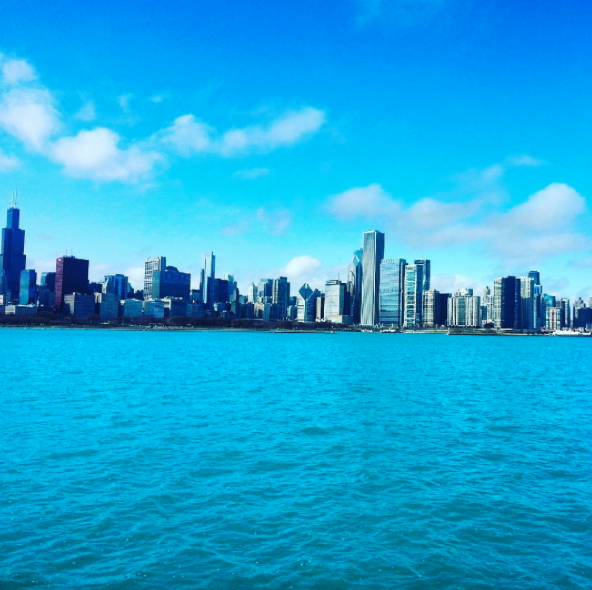 It feels like Chicago has finally turned the corner on spring weather (fingers crossed! ), so I’m going to spend this weekend being outside as much as possible. I haven’t done a Friday favorites post in a while where I just talk about life, so I thought I’d share some mini updates today. Chris just worked seven night shifts in a row, and I’m so glad that’s over. Seven 14-hour shifts in a row are exhausting, and it’s a relief to get back on a more manageable schedule. On Wednesday night, I got emotional watching a legend retire. Growing up, my dad worked crazy hours, but he loved to unwind by watching Lakers games. 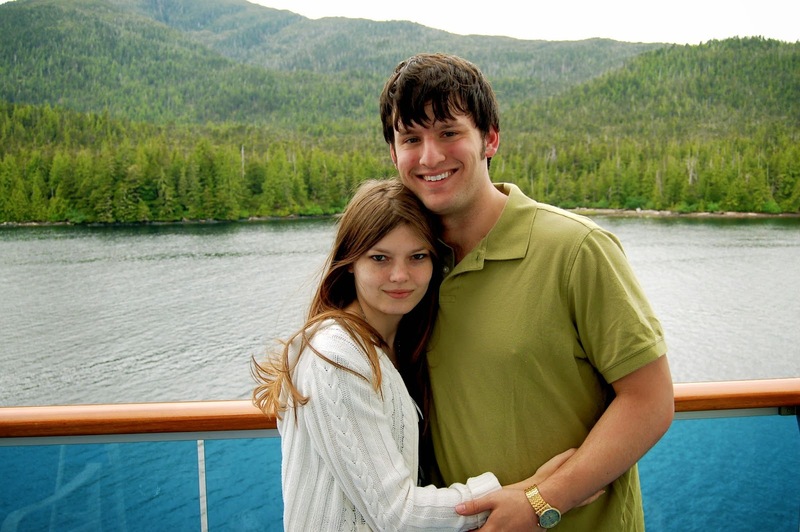 I loved watching them with him, and the games quickly became our father-daughter activity. Kobe Bryant was my hero. As someone who has an extremely competitive nature, he taught me it was OK to be that way. I have always admired his determination to be the very best (I even wrote a book report about him in the sixth grade!). Two of my favorite memories were going to a game with my dad and sitting right behind the Lakers bench, and the time the Lakers won the championship while we were in Hawaii, and Dad ran out on the balcony and screamed “Lakers are the champions!” The amazing part was a bunch of people shouted back at us! This week, I watched a legend go out in style (60 points!). It felt like the end of my childhood all over again. I will always remember all those nights with my dad watching an incredible player. On Thursday, I met up Lex from Lex Nelson Photography for a fun photo shoot! She wanted to play around with a film camera, and I volunteered to be a model for her. She’s so sweet, and it was super fun! 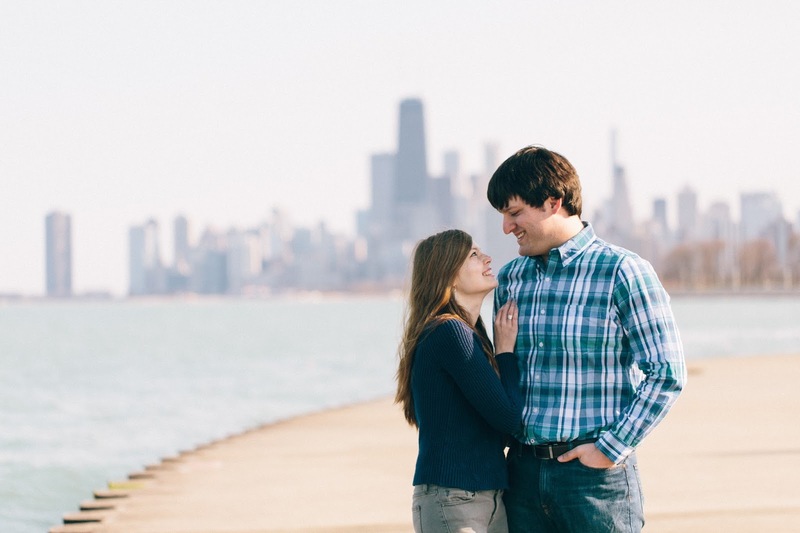 She offered Chris and me a mini session in exchange for the film shoot, and we had a blast. I can’t wait to see how the photos turn out! Skyler is always so excited when her Chewy shipment arrives, so I felt a little bad that this time, the shipment was for me. This month, I picked the Nature's Miracle Stain & Odor Remover in Tropical Bloom, and I love it already! When Skyler get sick, it can be hard to get rid of the smell. This stain and odor works super well and smells great! I love how I can use it both on our hardwood floors, our rugs, and our furniture. I will definitely be picking up another bottle once we’re done with this one. I received the Nature's Miracle Stain & Odor Remover in Tropical Bloom from Chewy, but all opinions are my own. After our photo session, we made it over to another restaurant off of my Chicago restaurant list, Smoque. I was in the mood for a chopped brisket sandwich, and Smoque really delivered. I’ll share more about Smoque in my next Chicago update, but let’s just say it’s worth the drive. NetGalley can be overwhelming with its massive book selection. 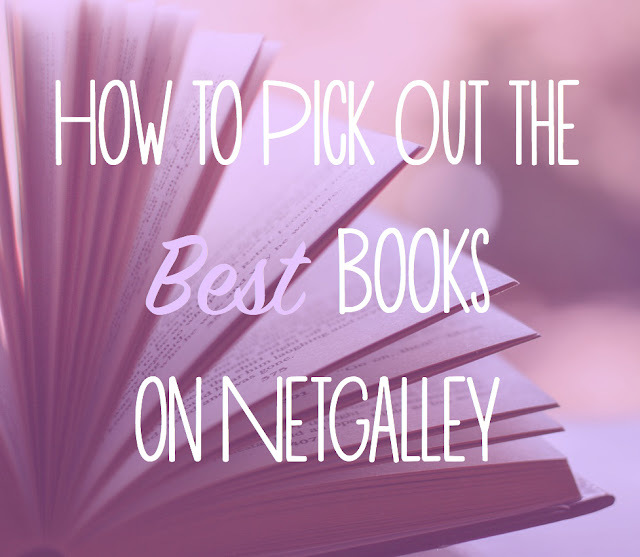 I’ve gotten many emails and comments from people surprised I read many good books through NetGalley, so today I wanted to share three methods I use to select my reads. If you haven’t heard of NetGalley, it’s an amazing website where bloggers can review books for free. In the year I have used NetGalley, I have realized many of my favorite reads come from the same publishers. My favorite publisher lately has been St. Martin’s Press, but I also look for books from Simon & Schuster, Random House Publishing Group, and Atria Books. I like to look up the book on GoodReads to see what people have said about it so far. It’s not a major deciding factor for me, but if a book has 100 reviews and averages two stars, I probably won’t request it. Most of the time I browse books through my favorite publishers or the recently added section. Every once in a while, I like to see what others are requesting in case I’m missing out on something really good. I also occasionally browse by category if I’m in the mood for a certain type of book, like a thriller or women’s fiction novel. Just kidding, though sometimes it feels like this is what I do. That might explain why I currently 85 books on my NetGalley shelf right now. Oops. Do you use NetGalley? How do you pick your books? I love sharing my favorite books every month, so I’m excited it’s time to do it again. 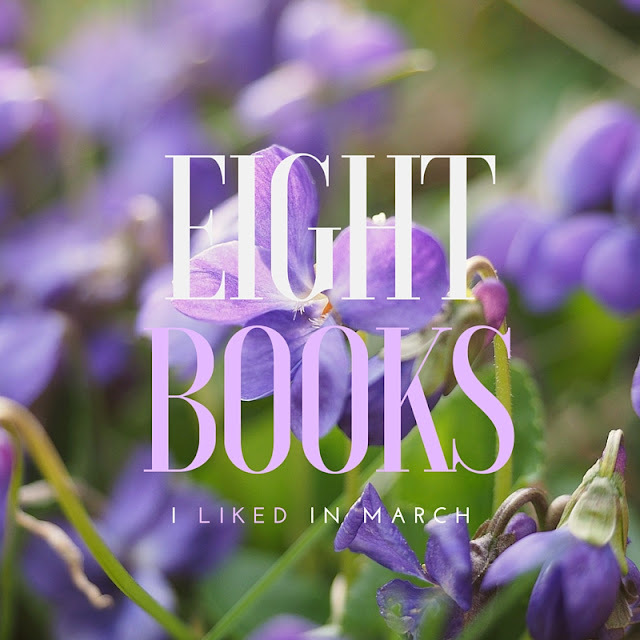 I’m still in a deep NetGalley hole (more on that here), partially because I didn’t read as much as usual in March. It actually took me eight days to finish a book, which is a rare occurrence these days (it didn’t help that the book was super boring). Because I didn’t have many favorites this month, I’m including several books I thought deserved three stars. I will be surprised if this doesn't end up being one of the best books I read this year. A mother loses her child for 45 minutes, but she is found quickly...only for her to be taken again three months later. It’s not long before the parents become the prime suspects. The whole book was suspenseful with many twists and turns. Every time I thought I had the story figured out, it surprised me. 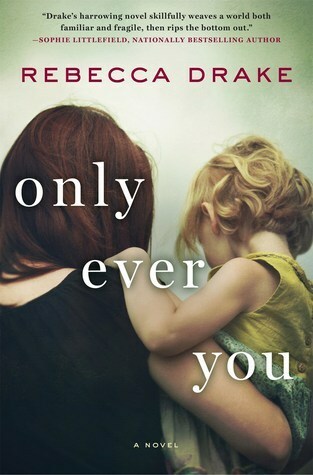 If you love psychological thrillers, this is a great read. 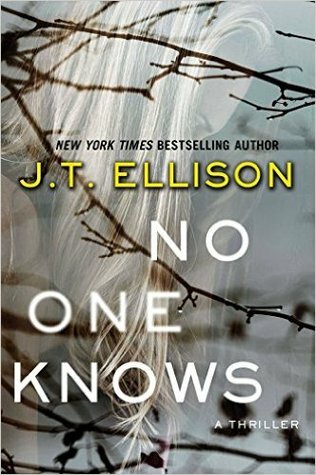 I really liked No One Knows. The story of what happened to Aubrey's husband Josh (he goes missing after not showing up to his friend’s bachelor party) was interesting, though the ending ruined it for me a little bit. Overall, it was a good read, and I recommend it for anyone who likes thrillers. This is a cute story of a mother and daughter who visit their mom/grandmother Lolly for the first time in a long time and begin to see what is most important in life. 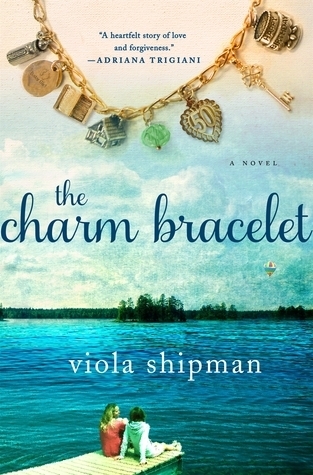 I really liked all the sweet stories grandma Lolly told about the charms on her charm bracelet and what they meant, but I felt like the lessons were drilled into the reader too often. I would have liked for there to be a little more subtlety. 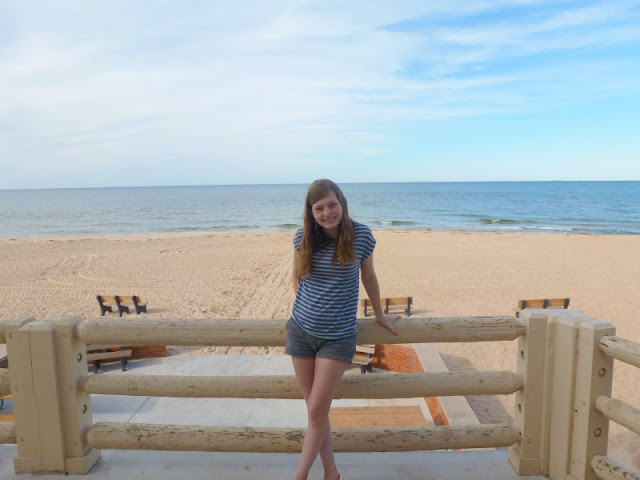 I did enjoy the descriptions of Lake Michigan (though even those were a little excessive), and the story made me want to visit Michigan again. If you like light reads, this book is a good option. This was a sweet love story. It started out slow, but it did pick up as soon as Robert Sherman came in the picture. 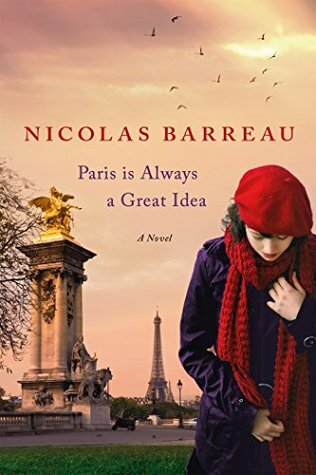 It was a fast read, and I think you can’t go wrong with setting a book in Paris! Romily has watched her best friend Ben and his wife Claire struggle with infertility for years, so she offers to be a surrogate mother, so they can finally have a child. The only problem is that Romily is hopelessly in love with Ben. Dear Thing rotates points of view between Claire and Romily, and I felt the emotions of each woman. I liked the story much more than I expected, and it strangely felt like a "light" read, even though it was about a difficult subject. I'm having a hard time deciding whether I loved the ending, but overall, it was a good read. 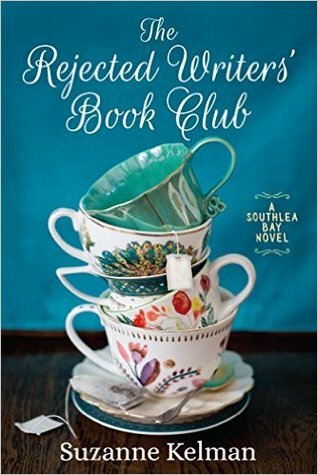 This was such a fun, quirky story about Janet, who gets swept into the craziness of Doris and her Rejected Writers’ Book Club. 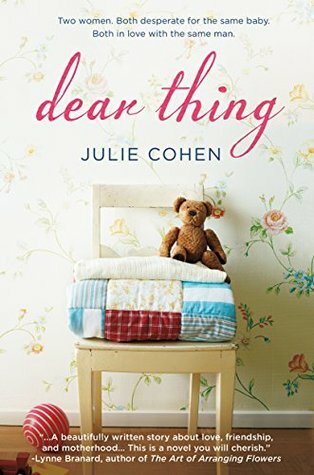 After Doris receives an acceptance letter from a publisher, she forces Janet to drive her and her friends to the publisher in San Francisco to request a rejection. Although Doris was so bossy it got a little annoying to me at times, there were many funny parts in the story, and it's one of the best light reads I've read so far this year. This book would be perfect for a summer beach read! Honestly, I didn't expect to like this book. 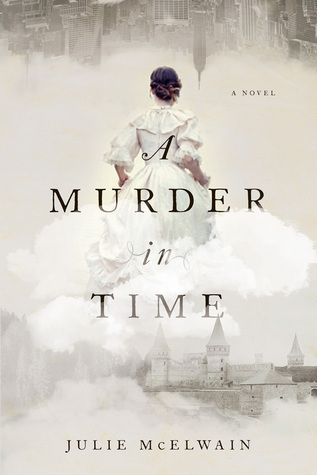 I don't usually like books about time travel, but I thought since it was a suspenseful novel about trying to solve a murder in another time period (the Regency period), I would give it a try. A Murder in Time really impressed me. I ended up really liking Kendra, and the time travel concept was done really well. The ending set up the chance for a sequel, and I really hope there is one. I have read several historical fiction novels about the Titanic tragedy, and I haven't liked any of them. At first, I was worried this book was headed in the same direction. I didn't like the writing style, and the parts of the book where Stone was narrating felt boring. 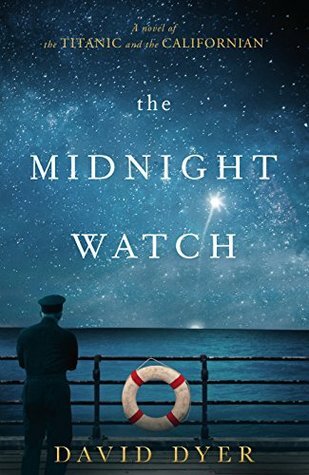 I thought the premise of this book was unique as it focuses on whether the SS Californian could have prevented lives lost on the Titanic if it had responded to the Titanic's distress signals. For me, the story really took off when John Stedman found out about the Sage family. Still, I was hoping for more from this book than I received. Overall, it was a decent read but not one I will be going out of my way to recommend. Chicago has not gotten the memo it’s spring with more snow yesterday morning, so I’m left dreaming of spring weather and my favorite thing ever: dresses. At any given time, I have a browser open with a dress I love. I don’t buy them all because I already have more dresses than more women probably have in their lifetimes, but I’m always dreaming. Here are five options on my radar right now. When I was in sixth grade, my mom forced me to diversify my wardrobe because all I would let her buy me was stripes. Not much has changed. I love this blue stripe jersey dress from Old Navy. It looks so comfy, and the color is perfect for spring. Isn’t this dress perfect for a spring wedding? I’m obsessed with the pink! Fun fact: Chris usually likes the clothes I pick out, but he hates lace. I feel a sense of accomplishment whenever I pick out a lace dress he actually likes. My current favorite is the light blue version of this dress. A plaid dress in spring colors? Yes, please! What is your favorite dress from my list? We’ve officially hit the double-digit month mark in Chicago, and March was one of the best months yet. 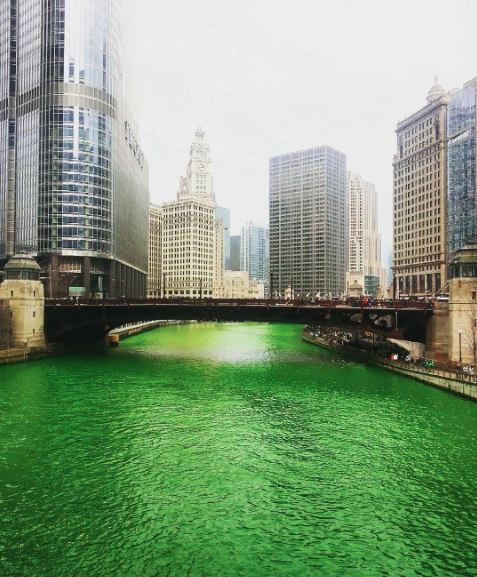 One of my goals this year was to see the river while it was dyed green for St. Patrick’s Day celebrations. As soon as Chris got off work, we headed to the Chicago River to join the party. 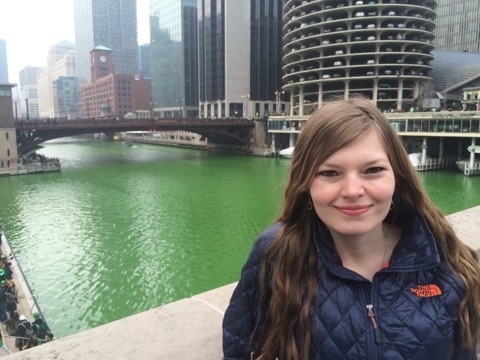 It was so fun to see the river turned bright green, and it looked better than I expected! March was a month of visitors, starting with a great reunion with some childhood friends. We live all over the country, so it’s been hard to get together over the years. We had such a fun time catching up and showing them our beautiful adopted city. Some highlights from the weekend include a river and lake tour, brunch at The Gage, a visit to the Art Institute of Chicago, and gorgeous skyline views at the Signature Lounge. Right after our girls’ weekend, my in-laws came in town for a few days. It was so nice to spend Easter weekend with them. For Easter dinner, we went to Joe’s Seafood, Prime Steak, and Stone Crab. Crab is my favorite food, but it’s too expensive to have often, so it was a real treat. Chris had a day off while his parents were here, so we decided to get out of town and show them more of Illinois. 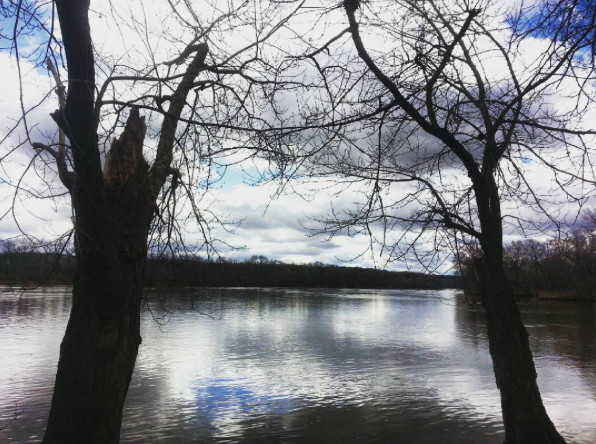 Sadly, a lot of our favorite places were still closed for winter, but we still had a nice time visiting the Rock River, having a delicious lunch in St. Charles, and walking around Cantigny Park in Wheaton. Linking up with Kristen and Gretchen!